Thanks so much for hosting this VIP interview of my Blog Tour. WOW! Thanks for those really "Curly" interview questions ... You really made me think. I'll be here LIVE to answer your Readers questions. Remember everyone who comments here or asks a question about the writing and editing process, will be in the draw to WIN #2 free copies of ME & HER ... Good luck! Interesting to hear Karen,how you rewrote and rearranged chapters to start at that pivotal point of the motel door. Sounds like a great supportive husband too. Hope you sell heaps, Karen. Thanks Dale, for dropping by. Sally these are really questions with insight. Thank you for this interview, another great stop on the blog tour journey. Thanks Jill for dropping in with your comment on Sally's astute interview questions. Jill, they certainly were insightful ones, weren't they? Hmmm, yes, this is what I need to do with my work in progress. It's a sequence of events at present - but I'll work through that to the end as a draft and then I'll have to start the chopping and changing process. I didn't realise you had spent so long on this book - huge congratulations on its release and reviews that have praised its excellence. I know Sally will have given you a lot of useful editorial advice - so I should congratulate you both. All my books have been improved by professional editing - but not all editors are equal. Sally's always provided me with amazing insights when I've asked her to assess my stories. Thanks again, Sally. I agree. Finish your first draft THEN work out the sequence of events. Good luck with the redrafting and editing. Sally is a magnificent editor. I'm so lucky to have found her! 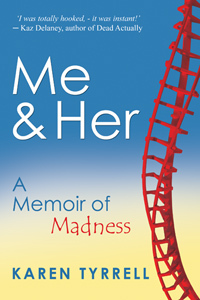 Fascinating to read about the writing & editing process of ME & HER: A Memoir of Madness. Thanks for the insights, Karen and Sally. I admire your bravery and strength, Karen. You are an inspiration and I wish you great success. Great look at the process of getting a memoir written. Well done Karen, you've taken on this project with an amazing amount of professionalism. Come chat on my blog anytime you like! 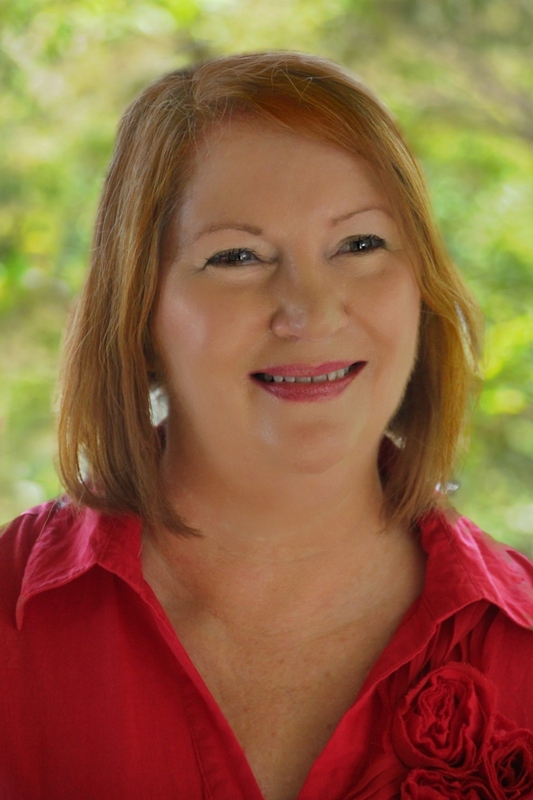 Thanks Robyn, for checking out my writing & editing process with Sally. Thanks Karen, for adding a big upswing to my blog audience today. Thanks for visiting us Charmaine. Thanks for coming to visit, Robyn! Thank you Dale. As you see, I finally got back into my own blog. Thanks so much for supporting my Blog Tour and understanding how writing became the key to my recovery and healing. I was determined to get my story of hope into the community, so I persisted with the rewrites. In the end, I was offered two publishing contracts but decided not to go with them. Instead I started up my own publishing imprint and now have 100% control on ME & HER's destiny.